And a big WHOOPS! I was called away on Friday and meant to build this post on my return, then I flat out forgot. But hey, better late than never, right? So let’s get to these beauties from last week! Have a teen? Take this tour. 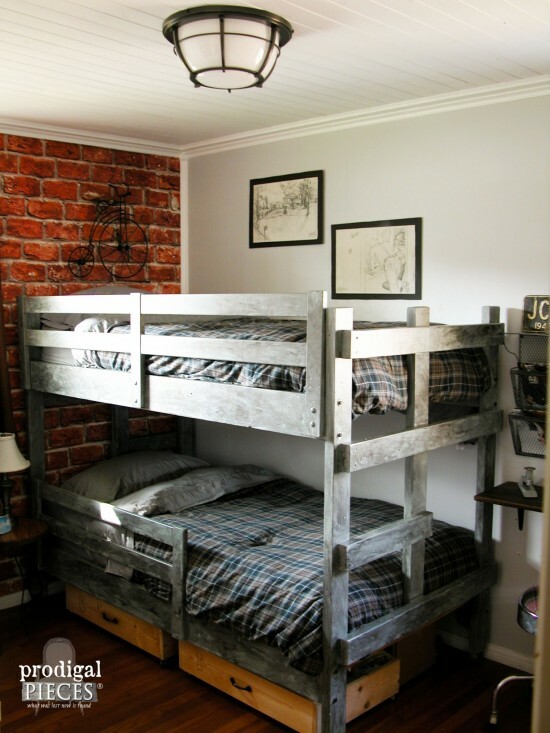 I am so industrial inspired, I may be willing to clean my son’s room myself to get this look on the go! 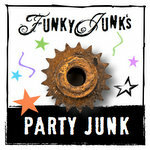 Lots of cool junky bling! 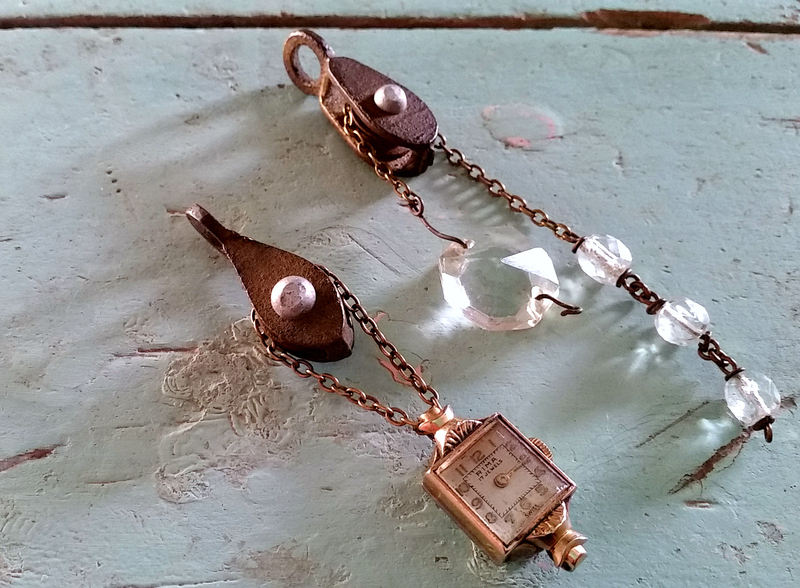 The perfect jewelry for a junker… these are really cool! I’m so smitten with this kitchen! 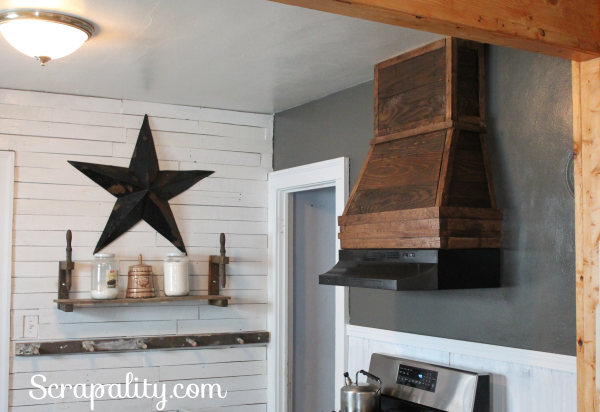 From the planked wall to now that custom range hood… goodness. 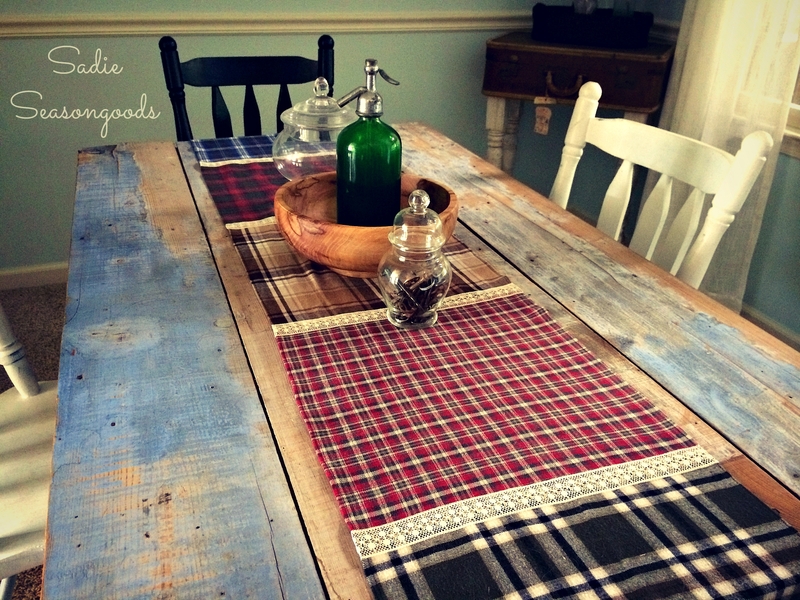 Flannel shirts are given a new, fall life with the coziest table runner on the planet. Isn’t it outstanding on that rustic farm table? Look closely. 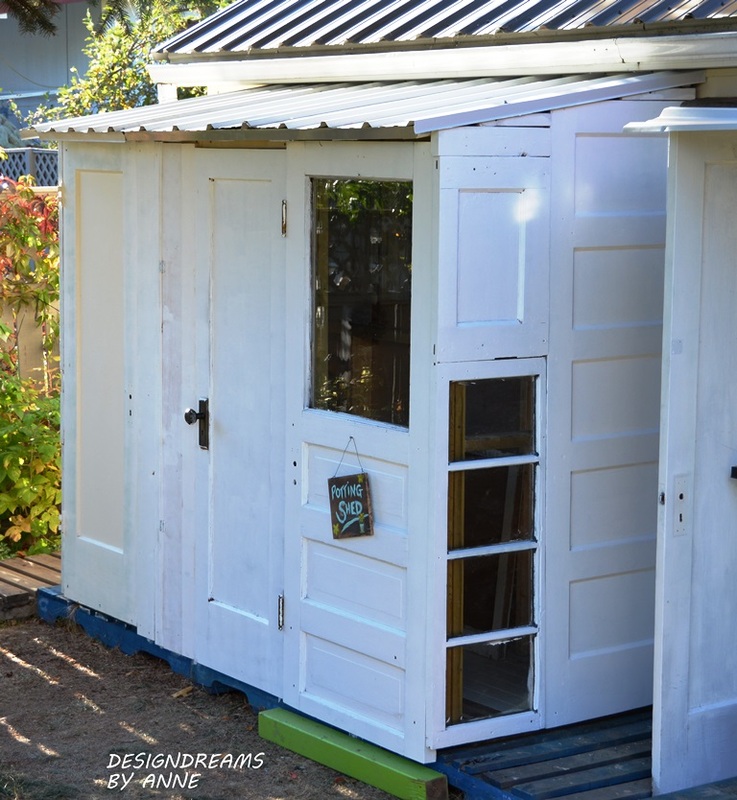 This entire shed is made from odd sized doors. Visit the blog post to see them before painted… so cool! 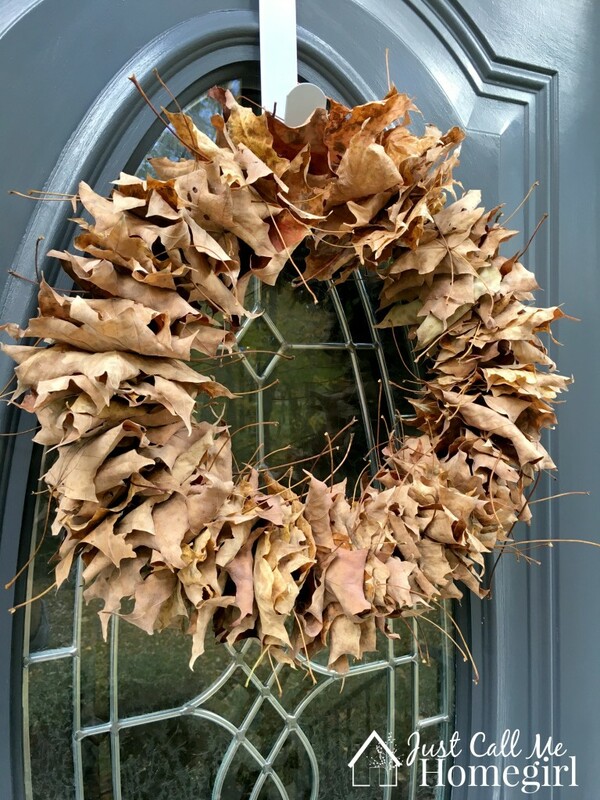 This real leaf wreath is jaw dropping gorgeous, but you just won’t believe how easy it is… I just love its rustic natural beauty. 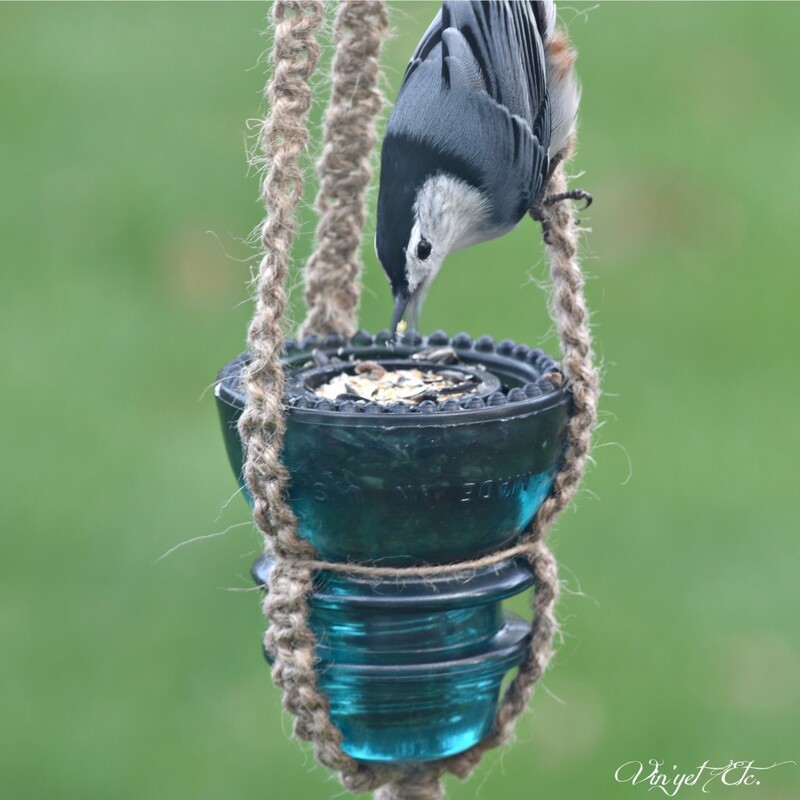 NOW I know what to do with my vintage insulators! This is adorable. I’ve always wanted a cabin on a lake… so instead, I created a cabin shaped cabin sign for the mantel… that illuminates! Fun! This post is also part of a MASSIVE fall blog hop called Home for Fall. Visit my post to see the rest! You’re right…better late than never, Donna. 😀 I love all the ideas this week with nature-inspired themes. So simple and perfect. Thank you for hosting! Thanks so much for the feature! 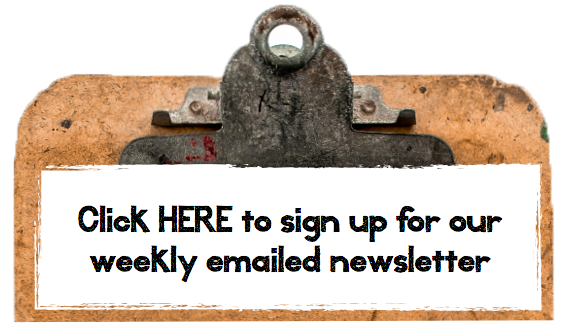 So many cool projects this week! Hey, I recognize a couple of those features- thank you SO much. Have a great weekend! Donna, thanks so much for hosting the link party!! Have a fantastic weekend!! Junk and fall decor galore. Oh, my!!! Thanks so much for the party, Donna. Thanks so much for hosting Donna! Great features as always. Hope you have a lovely weekend! I love your cabin resort sign and shanty!!!!! Hey Donna, thanks for hosting the Junk Party! Always excited when I can recycle something and post it on your party. Your post about ‘layers’ really hit home…yup I’m right with you on that. I’m really tempted to join your Crap to Clean challenge…but the before Christmas part gave me pause. We’ll see…I may just dive right in. In any event, I can live vicariously through your successes. Love your cabin over the fireplace. Thanks Donna for PJ 302. Appreciate the work involved. Love all your posts. Love joining in. A Cabin along the lake, what a dream that would be. Thanks for featuring my Kitchen hood this week. I’m honored! Hi, Donna! Love all the features, thanks so much for hosting! 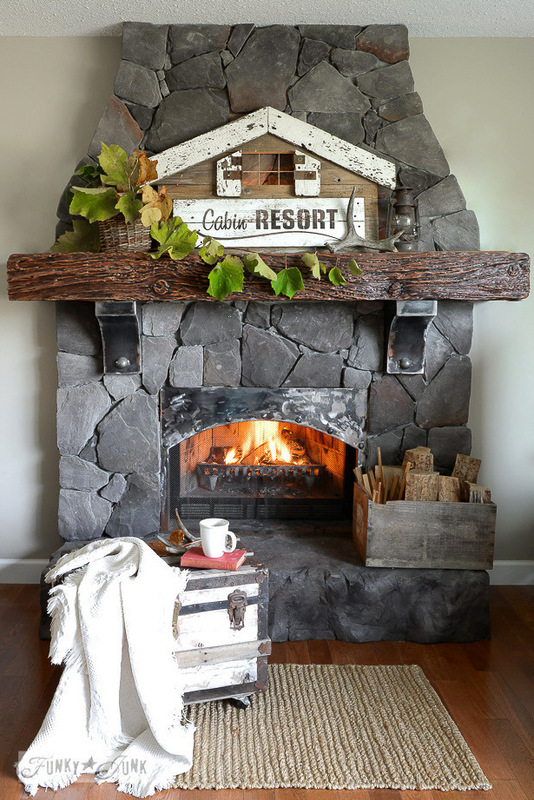 You mantel is great … I want to make one of those. Thanks for hosting another fun Upcycle Party.